When Bamboo Bloom is a medical anthropologist's highly personal ethnographic chronicle of time spent as an aid worker and community outreach trainer in Taliban-controlled Afghanistan. While managing to avoid notice by the Taliban herself, Patricia Omidian, an outsider but one who speaks a local language, exposes the searing realities of scarce access to education and health care alongside limited resources and personal loss in Kabul, Hazarajat, and Herat. Readers feel every pothole in the road as she traverses the vast, rugged country and share her distress over everyday Afghan struggles for survival. Yet, resiliency endures, both for the writer and for the Afghan people, even in the face of Taliban edicts. Omidian illustrates how Afghans must negotiate between the dictates of their own culture and the intimidation of the Taliban, wondering herself what characteristic or trait they possess to cope with the erosion of honor and freedom. This rare, experiential narrative provides an insider's view of people and circumstances that reaches beyond ubiquitous news headlines of wars, invasions, coups, and droughts. It reveals the unexpected hazards, elusive joys, difficult decisions, and subtle complexities in a country where peace may come when bamboo bloom. 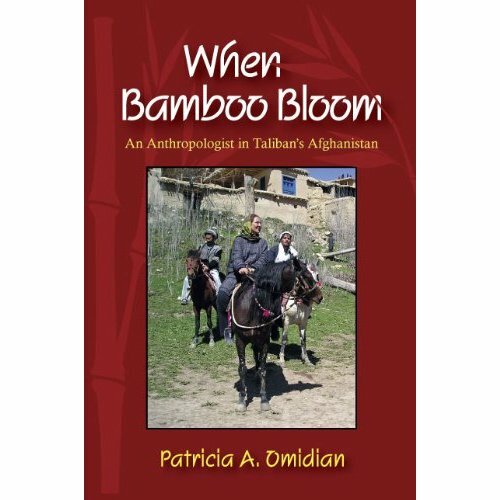 When Bamboo Bloom includes an account of the introduction of Focusing to an Afghan aid organization. Dr. Omidian is actively engaged in Community Wellness Focusing.